The biggest lies from the Mainstream Media are not only what they tell us, the biggest lies are what they don’t tell us! The liberal MSM is obsessed with the fake “Trump-Russia Collusion” story and have been for nearly two years. They love everything about this sham story because it keeps the truth about President Trump from being told. The President has many success stories under his belt already in less than a year and a half in office, but probably no story is as important and stunning as the Trump Economy. Under President Trump the economy is on fire and set for more record earnings and results. The Russell 2000 index of small-capitalization stocks rose on Monday, advancing to its latest in a series of records as investors cheered an easing of U.S.-China trade tensions. While smaller companies are seen as having less exposure to trade issues, due to their higher concentration of U.S. revenue exposure, the market segment has rallied consistently for weeks, easily outperforming its larger-cap peers. First quarter earnings are expected to increase 25.7% from Q1 2017. Excluding the energy sector, the earnings growth estimate declines to 23.7%. The Q1 2018 blended revenue growth estimate is 8.4%. Excluding the energy sector, the revenue growth estimate declines to 8.0%. 75.9% of companies have reported Q1 2018 revenue above analyst expectations. This is above the long-term average of 60% and above the prior four quarter average of 69%. These numbers are even understated. 500 of the largest US Companies’ profits are 25% greater than prior year in the 1st Quarter. This is unheard of in US history! When, if ever, have the 500 largest companies in the US increased their ‘bottom line’ earnings by 25%. This is simply record breaking! 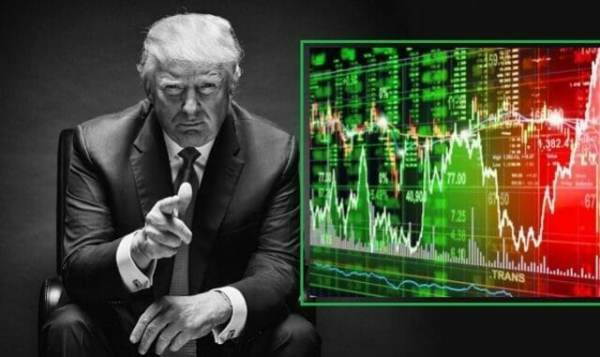 Even before the 2016 Presidential election, the MSM claimed that if Trump were to be elected President, the markets would collapse as a result of trade wars instigated by President Trump who was running on free trade but fair trade. This too turned out to be a farce. According to reports today, the President has renegotiated trade deals with China that will result in a reduction of the trade deficit with China by $380 Billion. This is the largest annual trade deficit reduction in US history. The Congressional Budget Office is reporting that the federal government took in $515 billion in April. With outlays of only $218 billion, the $190-billion surplus represents the largest in history. Although the MSM will not tell you, we are currently enjoying arguably the best US economy and outlook in US history! Corporate profits are at all-time highs (by far) and the economic outlook keeps getting better and better every day!